Bio: The Ball State Saxophone Ensemble is made up of both graduate and undergraduate saxophone majors. This newly formed ensemble seeks to program interesting and exciting repertoire for the purpose of performing in a wide array of settings. As a chamber group, the BSU Saxophone Ensemble hopes to engage all communities through performance and educational initiatives that bring visibility to both the saxophone and the Ball State School of Music. Ensemble Bio: The Ball State Saxophone Ensemble is made up of both graduate and undergraduate saxophone majors. This newly formed ensemble seeks to program interesting and exciting repertoire for the purpose of performing in a wide array of settings. 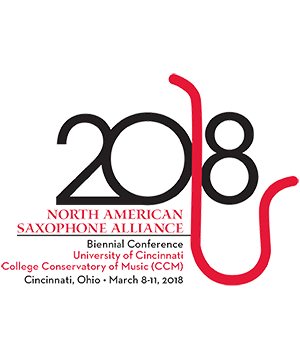 As a chamber group, the BSU Saxophone Ensemble hopes to engage all communities through performance and educational initiatives that bring visibility to both the saxophone and the Ball State School of Music. Gabriel Sanchez Soprano Saxophone undefined . . .
Jacob Melton Soprano Saxophone undefined . . .
Thomas Swift Alto Saxophone undefined . . .
Zachary Manson Alto Saxophone undefined . . .
Dylan Keiser Tenor Saxophone undefined . . .
Mekhi Crawford Tenor Saxophone undefined . . .
Kendell Fowler Baritone Saxophone undefined . . .
Javon Evans Baritone Saxophone undefined . . .